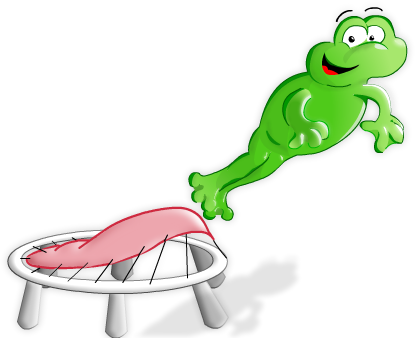 We have a vast range of Jumpking JumpPOD deluxe trampolines which are available in many shapes and sizes. Worried about how big or small your garden is? Well, luckily for you, these JumpPOD Jumpking trampolines are suitable for any size garden. Jumpking is one of the biggest, well-known trampoline companies in the UK and we are proud to be working alongside with them. We sell their quality trampolines through our innovative website. Your children's safety is our main focus! We have built-in safety enclosures on all of our Jumpking JumpPOD's because we want to ensure you that your children can play safety on these trampolines. Also, it is an excellent way for your children to exercise and stay healthy, which is why we promote ‘Exercise through Play'. All of the trampolines shown on this page come in various sizes and shapes, include round and oval, the sizes are from 8ft to 14ft. Also, some of them come with a free cover, ladder and shoe net. You're spoilt for choice with our top quality selection of JumpPOD Jumpking trampolines. These Jumpking JumpPOD deluxe trampolines are all on sale, for example, you could save £140 when buying a trampoline from us. So have a browse on this page and click on one of the trampolines to see the full details. To see more of our other trampoline ranges such as our Jumpking trampolines or our Cortez trampolines, click on the links! Here at Trampolines Online, we take pride in all of our trampolines and we believe that our range of Jumpking JumpPOD deluxe trampolines are perfect for you and your children to have. So if you would like to buy a JumpPOD Jumpking trampoline today, call us on 0333 3660062 or you can email us at sales@trampolinesonline.co.uk and one of our experts will respond to your message as soon as possible. Trampolines Online - your online store for quality trampolines for sale.